Rushbearing dates back several centuries to a time when rushes were simply a floor covering in churches. Each year, it was out with the old and in with the new. 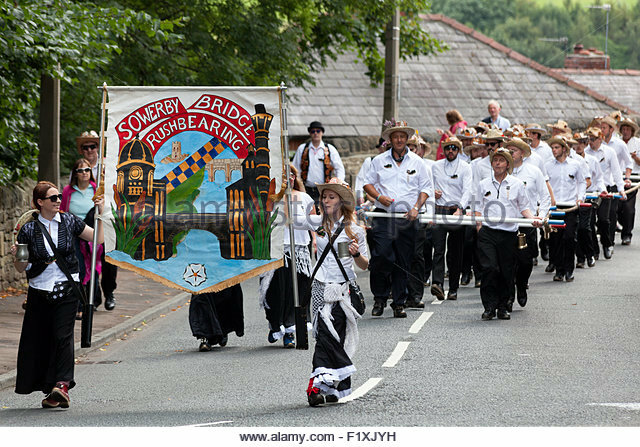 Over many years this tradition has gradually turned into a celebration and a holiday involving music, morris dancing and revelry. 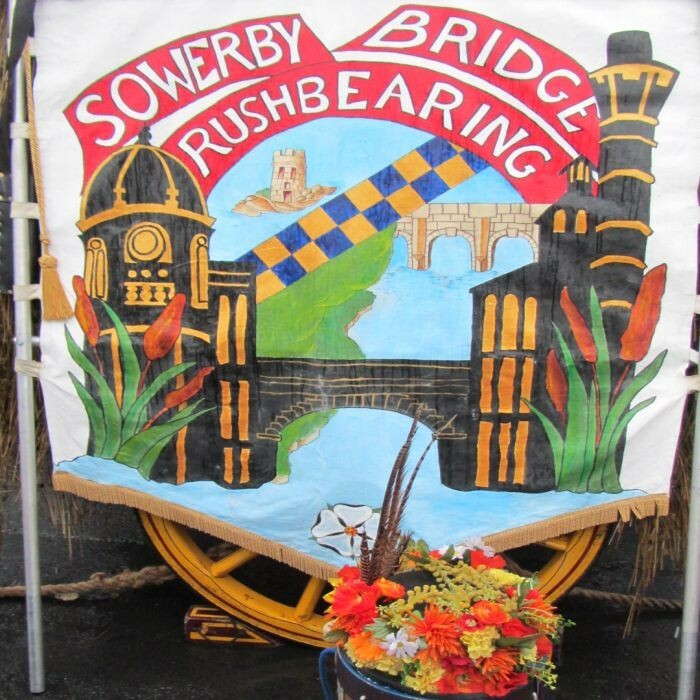 Over the course of the weekend, our own festival sees the progress of the Rushbearing procession around 7 towns and villages visiting many churches and local hostelries along the way. The focal point of the procession is the sixteen feet high, two-wheeled, handsomely decorated and thatched rushcart. A team of young ladies take turns to ride on top of the cart as it is pulled by sixty local men dressed in Panama hats, white shirts, black trousers and clogs. Accompanying them are a group of supporters in Edwardian dress along with some of the region's finest musicians and morris dancing teams to provide entertainment for the crowds. The Rotary Club of Sowerby Bridge act as stewards / marshsalls for the route to keep the participants and visitors safe!